Apologies aside, time and actions will tell us whether the comic’s a stand-up guy – and whether he can emerge from his self-dug hole. 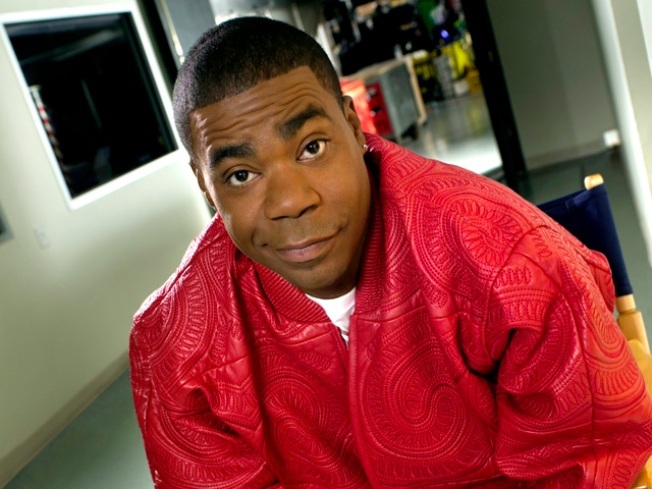 Only Tracy Morgan can pull himself out of the mess he created. After the Tracy Morgan homophobia mess erupted last week, Tina Fey tempered her stern condemnation of his remarks with a telling quip – noting her "30 Rock" co-star is "generally much too sleepy and self-centered to ever hurt another person." The attempt at humor went to the heart of what's so vexing about the episode – and perhaps to what Morgan needs to do to make amends. We expect the comic to be outrageous, whether via the silliness of his "30 Rock" alter ego Tracy Jordan, his decidedly beyond-bawdy stand-up act or past public antics that primarily involved taking off his shirt. What we didn’t expect from any of the variations of Morgan’s public persona was an outrageous leap over the line from humor to hate. For a guy whose brand of comedy, at least up recently, generally didn't inspire deep thinking, Morgan's case presents some complicated questions: Are there boundaries for comedians? Who is the real Tracy Morgan? And can he redeem himself and save his career? Morgan’s statement – it's impossible to call it a joke – about killing his son if he found out the child was gay, put him far out of the realm of stand-up, to our mind, no matter what the context. It's impossible to know what drove him to the most idiotic of his utterances on a Nashville stage this month and whether his subsequent apologies are sincere. But as for saving his career, we're betting Morgan has a good shot. His pledges to return to Nashville to offer a mea culpa – and, more importantly, meet with gay youths and a mother whose son was killed in an anti-gay attack – puts action behind his words of regret. But there are other reasons – beyond swift damage control efforts that include plans to make an anti-bullying PSA for the Gay and Lesbian Alliance Against Defamation – to expect Morgan will emerge from his self-dug hole, particularly compared to other performers whose comebacks have faltered to varying degrees. Michael Richards' racially fueled stand-up meltdown in 2006 was captured on video and endlessly replayed. Mel Gibson's audio-taped rantings gave voice to past reports of hate speech and other bad behavior. While the first public account of Morgan’s controversial comments flew via Facebook, the written words don’t pack as much punch as hearing them tumble from his mouth. Another difference is that Richards' and Gibson's careers were in differing states of downturn when they became engulfed in their respective scandals. Morgan, in addition to probably getting slack in some quarters for his seemingly out-of-character misstep, is at a highpoint in his career, given his "30 Rock" success and recent HBO stand-up special. Whether he's a stand-up guy is another matter, but his moves suggest he's headed in the right direction – quickly waking up to his error and stepping away from the self-centeredness Fey joked about. The bottom line, though, is whoever the real Tracy Morgan is, only he can save himself and end up back on "30 Rock" relatively unscathed. Otherwise, we hear Charlie Sheen is looking for work.